A review of Lilac Girls by Martha Hall Kelly. Post may contain affiliate links. I read a lot. I read like a chain smoker, one book finished, another begun immediately. With that, they can run together, get lost in the pack. I can usually judge how exceptionally good or exceptionally bad a book was if I can remember details a few weeks after reading it. Lilac Girls falls into the exceptionally good category. 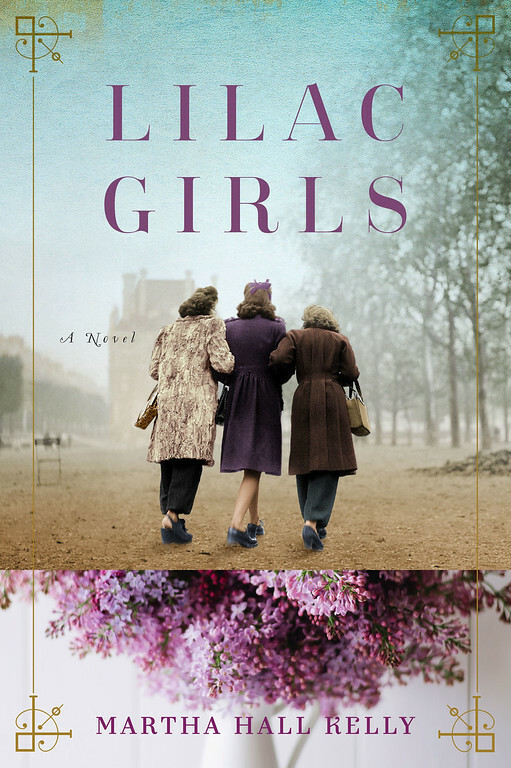 Lilac Girls is historical fiction that tells about the start, duration and ending of World War II through the eyes of 3 very different women. The first woman we meet is Caroline Ferriday, a New York socialite. Caroline has a post at the French Consulates office, helping the French orphans. She is also falling in love. The second woman we meet is actually a Polish teenager, Kasia. Hitler has declared war on Poland, but Kaisa isn’t sure what to expect. Unfortunately she draws herself and her family into the hands of the Germans, resulting in her (and some of her family members) placement in Ravensbruk, a nazi-run female concentration camp. The last woman that we meet is Herta Oberheuser, a German physician. Herta believes in the war and what Germany is trying to accomplish. She is placed at Ravensbruk as a physician. The effect of the war as told through the stories of these three women is fascinating. Heartbreaking, but fascinating. Like all good historical fiction, it made me want to find out more about the events it talked about. I had never heard of Ravensbruk or the specific events that went on there. I’ve since learned more about it, there are photos on the internet of the “rabbits” who survived and came to America for treatment. You do make me want to read this one. I have seen it before and yes, I am one to buy a book because of its cover. I’m interested in this time because my Father was in the military during worl war 2 and my mom was just a young girl. I’m going to pick this one up.